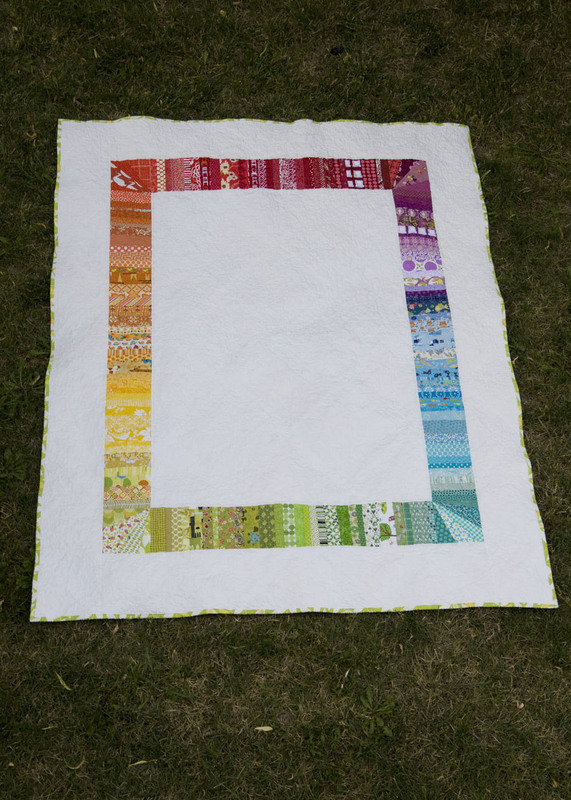 About a month ago Jennifer over at Ellison Lane Quilts started up a new round of her Rainbow Charm Swap. I missed the boat and was feeling a bit sorry for myself, but then I decided to just start up my own swap. Jennifer gave me the green light to use her idea and also gave me a few pointers along the way. 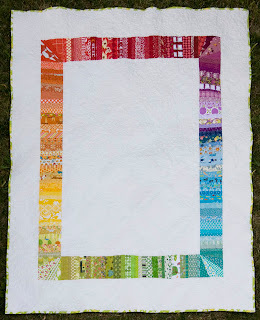 This swap will be based on the color wheel--one of my favorite sources of quilting inspiration. 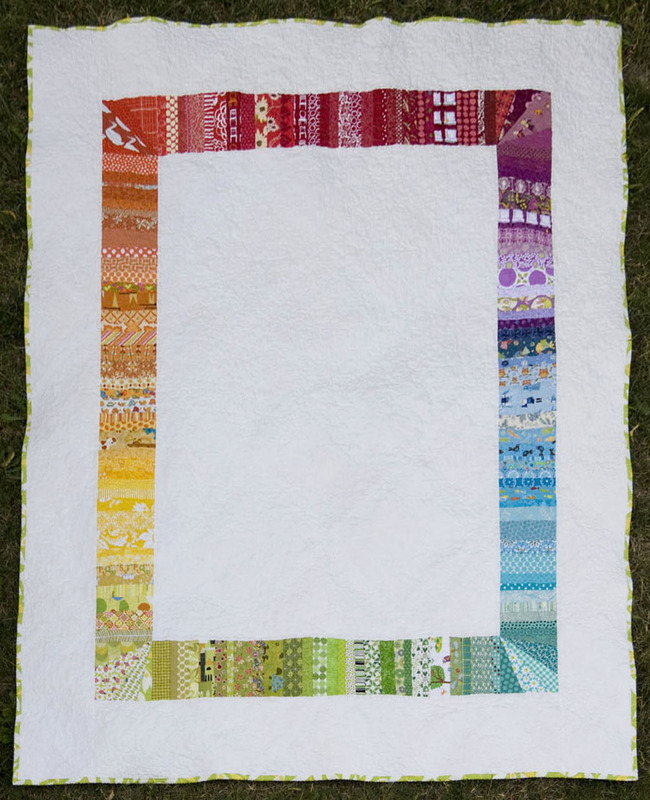 I made this quilt about a year ago with the color wheel in mind and look forward to making many more projects with a great collection of fabrics. There are so many fun designs that can be created when you have a fabulous collection of colors, with each blending into the next. If all goes well, I will run this swap for several rounds. We will swap print fabrics for the first three rounds and solids for the final round. 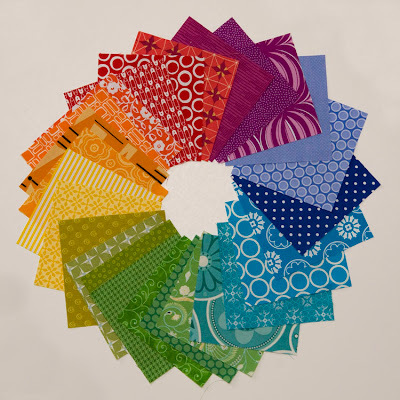 The first round is for colors you would see in a basic color wheel like red, violet, blue, green, yellow, and orange. Round two will focus on pastels (colors with white mixed in) such as pink, peach, lavender, aqua. Round 3 will focus on jewel tones (colors with black mixed in). Those who sign up for the first round will have priority in signing up for subsequent rounds as long as they were good swappers, shipped on time and followed all guidelines. Each participant will purchase two different fabrics-- one yard each. They will then cut those into 5" square charms and send them to me. 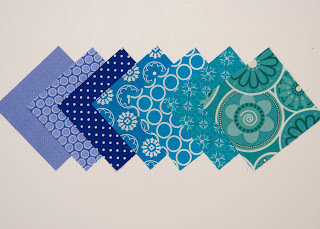 When cutting the charms, follow this tutorial by Elizabeth at Oh, Frannson. 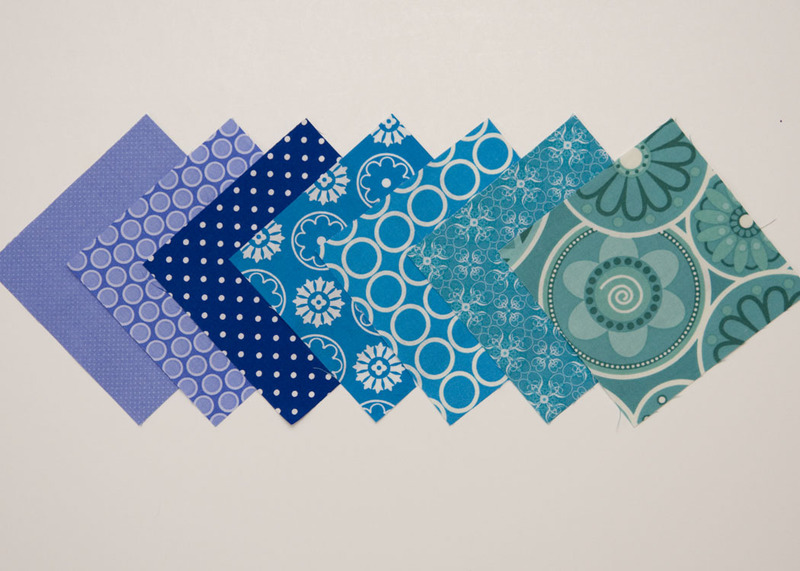 One yard of fabric makes 56 charms with very little left over, so be very careful when cutting. Quilt-shop-quality fabric only--please no Jo-Ann's, Walmart, etc. There are 56 participant slots--each round everyone sends 112 charms (56 charms of each fabric), and I'll send you 112 different charms from other swappers. I'll assign everyone two different colors (blue, blue-green, green, green-yellow, etc.) You need to purchase the fabrics in your assigned colors. We are swapping print fabrics only this round. 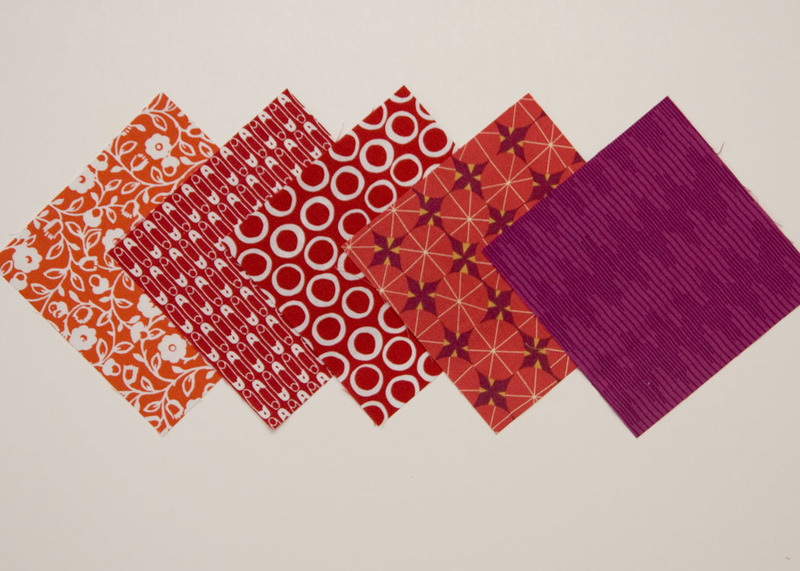 The fabric must "read" the assigned color, but does not have to be entirely that color. Large-scale prints may not be appropriate as they will be cut to 5" squares. 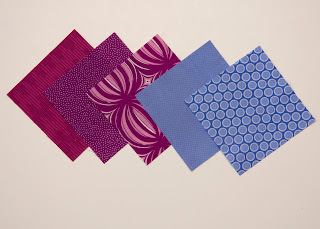 Keep this in mind when choosing fabrics. 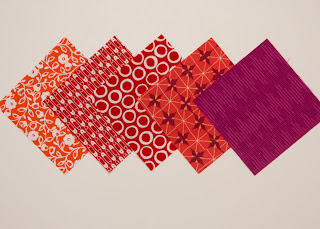 You are required to post pictures of your fabrics in the flickr group once you've chosen them. That way we eliminate duplication as much as possible. Fabric must be new and unwashed. When mailing your fabric, you must include a self-addressed stamped envelope. If you do not send a SASE with the correct postage, you will not receive your charms back. (Just use the same postage you used to get your charms to me). Place your fabric in a heavy Ziploc or other plastic bag. Include a note listing your name, fabric name, fabric line and manufacturer. US Participants must ship charms to me no later than September 2nd. International participants must ship no later than August 26th. I will return the charm packs as soon as all are received. If you live outside the US, you may purchase your fabric from a US vendor and have the package shipped directly to me. I will cut your charms. I will bill international participants through PayPal for shipping costs as they cannot send a self-addressed stamped envelope. Here are just a few fabric ideas I pulled from my stash. Hopefully, we will each have a complete color wheel of charms when the swap is complete. Count me in!! :) let me know if the form worked! Thanks! Just submitted the form. I was stalking your blog for this. 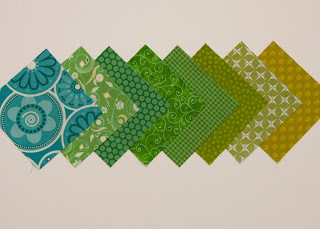 I participated in Jennifer's swap, but I'm in need of more 'color wheel' charms for a Dear Jane rainbow quilt I'm starting. Thanks for running this!! I'd be interested in doing this, are you designing the pattern or do we need to? I've never done anything like this but, I'd like to start today! Let me know if there's room! It sounds like a lot of fun! I am SOOOOOO in! Just finished the form, hopefully you got it? Thanks! Sent in my form! I popped over from Ellison Lane, and so glad I did! I filled out your form, hope I can join in! Great job putting this together! Excited to sign up for this swap. Thanks for the work you put into organizing this. Glad you are hosting this swap!! Looking forward all those rainbow charms!! Form submitted! Sweet!! Thanks so much for organizing this - it's going to be a-mazing, I can tell already! I was also stalking waiting for the form. I'm in Jennifer's rainbow swap 2. 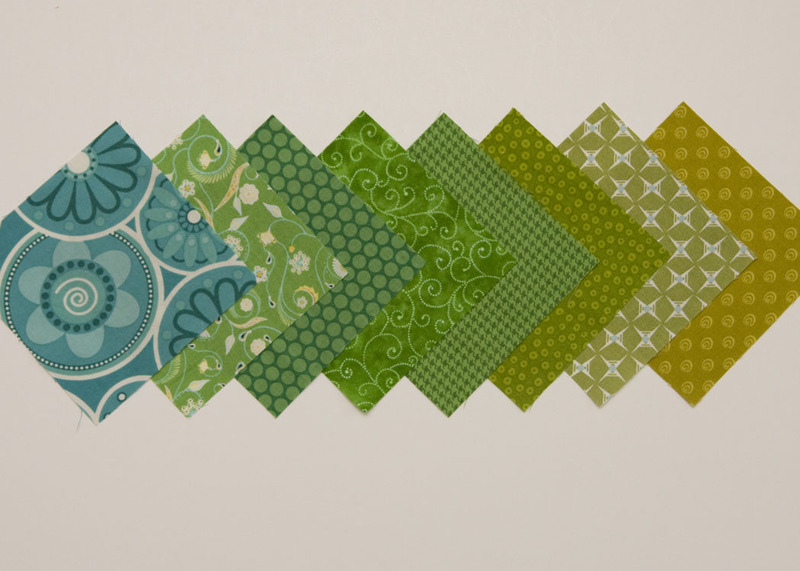 I plan to do a rainbow zig zag rail fence so the more colors and charms the better! I filled out the form and it said it was received - I hope so! I just submitted my form, but I might have accidentally done it twice. Please remove if I did it twice. 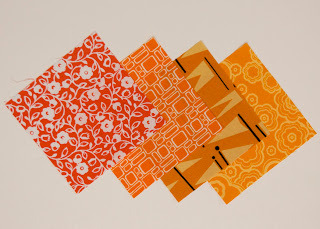 I have done both rounds of Jennifer's swap and this will be fun to get some solids, too! I'll add the button after I'm sure I am in. This is going to be super fun! Thanks, Kati. Okay, I'm in! Filling out the form now. This sounds fun, Kati! Thanks for organizing. I signed up! 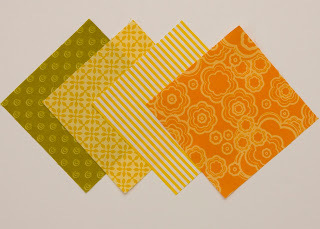 I'm doing the swap at Ellison Lane Quilts, and it is so much fun! Sounds like great fun! Submitted form this morning! Thanks so much for doing this - it looks like great fun! What a great idea! I hope I made it! Darn, darn! I wanted to sign up for this and got your email to me that it was starting in 40 minutes but then my internet went down and when it came back it was full. :( I guess that's what happens when I try to do things while on vacation at the lake where the internet is lousy. Bummer. bummer -missed it! darn the limited internet U.P. If you're making a list for future swaps, I'd love to participate. Good luck with this one!